The following correspondences are a sampling of letters have been and continue to be sent to us by patients, family members and friends that have been positively touched by the providers and staff at our clinic. Some want to thank us for treatment results and others want to keep us up-to-date on our patients’ progress. All of us at the Center for Advanced Medicine are very appreciative of the gratitude they have shared with us. I wanted to thank you for all of the wonderful things you are doing to educate the public about cancer. I was diagnosed with level 4 melanoma in the spring of 2010. I was very close to going the conventional route until I came across Suzanne Somers book. The interview you gave was fascinating and opened my eyes to a whole new world. Previous to reading that book, I was unaware holistic, non toxic treatments even existed. My mother died of cancer 12 years ago. She went through conventional treatments and I am sure now after educating myself about the horrors of the conventional industry, her treatments were ultimately responsible for her death. Before reading Miss Somers book and your interview I was destined to meet that same fate. I am so thankful I came across that book and the information you provided. It literally changed the course of my life forever, for the better! I ended up seeking treatment from Dr. Rashid Buttar who you are obviously familiar with. You are doing patients a great service by sending them to Dr. Buttar! He is the best! He is more of a healer than a doctor. I am thankful every day that I was lucky enough to have him as my doctor and teacher. I spent most of the year in his clinic and met a lot of patients that you referred to him. They all spoke very highly of you! Things have gone great and I am now cancer free. The information you provided started me on the search for alternative care. For that I am forever grateful!!!!!!! I started a blog about my experience to enlighten others to the truth about the industry. It has gotten a lot more popular than I could have imagined. I continually post your website and information in hopes you can steer others in the right direction. My hopes are one day the current model evaporates and Dr. Buttar and others like him can practice without being hassled by a corrupt industry that threatens the health of this nation. You are doing a great service to cancer patients!!!!! Keep up the great work!!!!!! I am so proud to know you and to call you my friend! When I watched this it brought a tear to my eye. It is so awesome to see your clinic, where my daughter Lindsay too was treated, finally get some national recognition. I am forever praying for you, that GOD will be in the very midst of what is happening around you every day. We must continue to fight for the freedom of doctors like you, that dare to look outside the box, for ways to save lives! Please know I am here, and will follow you to the depths of hell if we have to fight that far! Thinking and praying for you for ever…..
Tommaso’s improvements (in language and interaction) after IV Treatment were maintained during the last month and were noticed even by teachers and therapists. In terms of language, we can report more verbal imitation skills and speed, verbal memory improved, more frequent and spontaneous use of short phrases taught by us. In terms of relationships, he seems to have improved his ability to maintain the look, to be in relation (primarily with adults) and increased his desire to interact either. In general, we can say that the improvements that occurred after only one month of intravenous therapy are definitively more evident than (and most comparable to) those we experienced in a whole year of transdermal treatment. During the whole month of IV Treatment Tommasso didn’t experience any kind of adverse events nor of minor side effects. We have to admit that our concerns “about the needles”, the concerns about him to keep still for two/three hours were exaggerated and that the mornings spent in the clinic during infusions, thanks to the kindness of all your staff, were not bad at all! We are eager to repeat the intravenous therapy in the forthcoming month of June. Thank you for spending your time with me, and for the information. I’ve received the TD-DMPS today, will start A* on it tomorrow. Since we got home, he is an almost PERFECT ANGEL. HE WANTS TO GET BACK TO THE CLINIC SO… MUCH, HE KEEPS HIMSELF HAPPY AND CALM. He told us the “magic medicine will make his life easy, and he wants to have an easier life…” “He keeps reminding himself what Dr. Buttar told him about the clinic, where he can only treat happy and calm kids…” I feel dr. Buttar is right, a father is missing from our family. A* asked me to find a “new daddy.” Easier said than done. I do my best anyway. He doesn’t hurt my mom, and he stopped spitting too. THANK YOU ALL OF YOU!! I just pray for an easier trip to you on the 8th and back on the 11th. I hope he’ll stay this calm and happy with no major incident at the airports. Thousand thanks, with all our love and appreciation! Please kindly give this message to Dr. Buttar. A* SHALL COMPLETELY RECOVER SOON. How does it feel to be a part of a team that is changing the world for the better – waking up and being a part of things that are bigger than yourself and changing the course of so many lives? You give hope to those who have been told there is none – you’re a team of professionals whose daily routine touches so many of us in such a positive and miraculous way. I write this to say I am proud to know each and every one of you and to congratulate you on saving Desiree Jennings and showing the world just how precious life is. You will continue to be in our prayers and we love you all for your sincere dedication in providing hope and health to us all. God Bless you and your families keeping you all safe and healthy. Hello everyone there in that amazing Center for Advanced Medicine Staff. M. H. calling from Canada. I just want to inspire all of you in telling you what a wonderful job you are doing. I almost want to cry. N is doing phenomenal on this Transdermal EDTA and for the first time ever he’s really connecting with daddy. We bought a Wii and he’s playing bowling with Daddy. They are really connecting and they are high-fiving and he’s talking more and his eye contact is better and everyone wants to know what’s going on with him. So Dr. Buttar, you are absolutely brilliant in my eyes, you are a Rock Star. I Love You All!!!! Hopefully we will be seeing you in October. We are making massive progress here in Ireland in getting the message out there amongst the parents about the Bio Medical treatments for Autism. When you get a chance read a book called the Horseboy. It is about the SHAMAN’s in Mongolia curing a child of Autism. It really brings home why emotional detoxification is so important also. Looking forward to having you in Ireland to give a few talks. Our action group is looking to put on a conference. Your young Irish Patient Robert O Gorman is doing great and is nearly finished his first year in school. Thats a big thanks from all of us over here. Thank you so much for the webinar last night. I felt very priviledged to have participated. Dr. Buttar gave me information that I will incorporate in my life and pass along to clients. Thank you again Dr. Buttar. May I thank you for all you have done for myself and Ann Louise. You were right that I do not have cancer (of the kidney). Upon my second opinion, Duke cancelled the surgery and monitored me via 6 CTs, and found no changes in any of the screens. I was released after 5 years in September. I note you are specializing in autism. Ann Louise, now 16, received your chelation treatments, and I’m not sure if she received the correct number, but they were not able to continue as my daughter became a nurse, etc. She is now in regular classes with the school having had her repeat the 9th grade to qualify her for a diploma attending regular classes vs remedial instead of a certificate since they feel she may qualify for further study after high school. She is high functioning, but socially inactive. However, she is a loving granddaughter, quite an artist, and taller than I. She has a little job in a pet store on Saturdays, working about 4 hours which helps her interact socially. She would prefer adults to teens her own age. May I thank you for all you have done for myself and Ann Louise. I keep your phone number in my cell to remind me of all the help we received. My current physician last week, after blood work, etc., said I am “perfectly healthy” at 67.9, and have you to thank as well as the doctors at Duke Medical. • N is using WH questions that haven’t even been introduced to his ABA program – like: Why Not? and Where is my Spiderman? N is YOUR success. Without you I know he would have been stuck in his “DAN!” recovery protocol which reached its’ plateau. I trusted my heart by believing that a father who recovered his own boy would want the same for every other desperate parent. I trusted my insight that most of what is published on the internet is political and not necessarily in my son’s best interest. Finally, I trusted my faith in God and people, and I am so relieved that I did. I just want to thank everyone one of you for staying the course through this difficult political time in the autism epidemic. You are all in my prayers and I am absolutely grateful for the kindness, knowledge and medical attention you have shared with us; but most of all the way you care for my boy. We look forward to see you soon and often this summer as we continue on N’s successful journey to recovery. Thank Dr. Buttar on our behalf. Robert O’Gorman now aged 5 is fully recovered from Autism thanks to him and Dr. Boyd Haley. Of course we need to keep his health monitored to ensure he continues to grow into a healthy young man and your help will always be needed by us. Please send our regards to Jane Garcia also. Her help was invaluable. We look forward to promoting you in the near future here in Ireland when we launch our Web Site www.freemefrommercury.com. Its story of Roberts history and recovery and of the Autism epidemic in Ireland. Robert turned five in July and has started school. He is doing great and gets on well with the 30 other boys in his class. Both his teacher and his special needs assistant are in awe of his brilliance and his tempermeant. ( no Autism here) He plays and engages with his peers and teachers superbly. We still find social stories very useful as stress and unexpected events are the only things that can upset him and throw him out of control emotionally. I met Boyd Haley during the summer whilst he was on vacation in Ireland. We had several hours of discussion. He was able to update on the progress the Docs in the states were having in using OSR and the data coming back from Blood glutathione levels/ CRP and UPPA Testing is great and the patients outcomes too. I got some OSR which we started using on a group of people including Robert. I gave my First presentation with BH s( using mine and Boyd Haleys Autism one Presentation) to an Autism Charity and will be doing my second one next week. At the first presentation my opening line was that Dr. Rashid Buttar has cured my son of Autism. I have the ear and developed contact with Government, Media, and other charities. Ireland is in the middle of a very public health crisis. Ears are open. You have an important part to play. Your DVDs etc. Your knowledge in treating people is crucial and it is only a matter of time before you are wanted over here. We are having great results from Reiki Massage, TBM and Amatsu. Yes to Spiritual healing and electrical energy. I have a great band of enlightened dedicated people over here doing great work. The loss of our son to heavy metal poisoning and our diagnosis of heavy metal poisoning open our minds to [heavy metal detoxification] and the lack of knowledge about the subject by some of the medical profession. We have been receiving [heavy metal detoxification] since December, and have been doing research on it and related subjects; some of which is Dr. Buttar’s research on TD-DMPS and wanted to express our support for his pioneering work and the courageous work of Dr. Cline and Dr. Fallah. We try to spread the word about Chelation and are always amazed at the resistance to it despite the successes we have witnessed and experienced ourselves. You are not alone, we believe and care. Thank you very much for getting back to us so quickly! We will follow your recommendations perfectly in hopes of a very happy and healthy baby girl! We value your opinion and suggestions with the utmost respect and sincerity. Thank you for your guidance in this world of uncertainty when it comes to optimal health! It would be an honor for me to have you to use part of my email on your site! I speak sincerely and from the heart, Please let me know anytime if there is anything that I can do to help you out in any way. I’m glad that we’re in touch and I wish that we could see you more often. There will be a time and it is soon to come. Wishing you the very best and keeping you in our prayers always. From the first time that we met you, Brian and I made changes in our lives every day since. We no longer drink coffee or soda everyday, and since we’ve changed our lifestyles, I know we look and feel at least ten years younger than we are! May you and your Family have a Happy and Safe Fourth of July!! He is fully potty trained day and night. He can ride a bike successfully. His self stimulatory behaviours are reduced drastically. He is very very cooperative. He shows affection. He wants to sleep with me putting his head next to mine:)) Unbelievable! The only major problem still remains speech and communication. But I must admit he is trying hard to verbalize. He is using PECs at the moment and his speech therapist is amazed at his development in the last month. Just wanted to thank you for all you do for our children. Take care. We all need you! Our family would like to thank you for your kindness, patience, incredible knowledge and professionalism. For those families with loved ones who have been diagnosed with Autism and are looking for a Doctor who provides Hope, look no further. Allow us to explain. Our child was diagnosed with Autism at 19 months of age. There are no words to describe the feeling when the so-called experts provide a diagnosis that has no known cause, cure or reliable treatment. After the experts were finished they sat us in a small room and handed us literature with tests that should be done, therapies that were available and a date when we should return. They made us feel like a number and then we were out the door. Weeks passed and after the feelings of complete sadness faded, we made it our goal to learn everything we could about Autism. Since our child had a lot of problems with chronic constipation we saw over 3 GI’s and not one could explain what was wrong with our child. One world renowned GI even went through great lengths explaining that there was nothing wrong with our child and that we should simply treat his constipation with an Over-The-Counter Fiber product. We debated her on her immediate prescription of the Over-The-Counter product and she lashed out asking us if we were going to do what was right for our child. We should have trusted ourselves because when we gave him The Fiber product we had to give the poor child an enema soon afterwards. We then went to several other Doctors with very little progress. Each Doctor had their own ideas on how to treat Autism and each time we would get lost in the shuffle of them forgetting about us from the growing number of new patients. To be completely honest we have yet to hear back from the last Doctor or even the staff that was treating our child. Please understand that we weren’t completely reliant on Biomedical treatments to help our child. Our child was on the GF/CF Diet, he was getting OT, PT, Speech and Floor Time and still we saw no progress. We figured that we must have been doing something wrong to see no real retainable progress. We had to be patient; we weren’t looking for our child to be cured overnight but at the same time we had hoped to see at the very least some progress. The last practice that was treating our child was using a Heavy Metal Toxicity Treatment. Our child was using this Heavy Metal Toxicity Treatment at that time but their motto was you could either do our protocol or follow Dr. Buttar’s protocol. I will not get into specifics as to what their protocol was but I can assure you that it wasn’t working the way it should have. Now please understand that there are other protocols out there to using a Heavy Metal Toxicity Treatment but you have to decide which one is best for your child and stick with it. After more than a year and a half with this practice we decided that it was best to place our child under the care of Dr. Buttar. We weren’t sure how long the wait would be, so we stayed with the current practice until we could get a scheduled doctor’s visit with Buttar. After approximately 9 months we were able to get a scheduled date and time with Dr. Buttar. We were given the option of a phone consultation or a chance to fly out and meet with Dr. Buttar and his staff. It was a day that we will never forget because we had to travel by plane in order to get there. Now our child had never been on a plane before and was having some seriously bad screaming tantrums at that time. Almost every parent that has a child with Autism will understand that feeling of everyone looking at him or her like they are a bad parent when they cannot control their child. At this point in our lives we didn’t care what people thought or were going to think, we just felt ecstatic that we were finally going to see Dr. Buttar. One thing you want to make sure when you travel with your child is that you bring the bare necessities and then some. Dr. Buttar and staff, if any parent with a child under your care would like to talk to us about our travel experiences and would like some advice please allow them to call us anytime. When we arrived at Dr. Buttar’s office his staff was the most professional we had ever experienced. We were in such awe that we knew at that point in time we had made the right choice for our child. We finally felt like we were able to breathe with a sigh of relief that everything was going to be Okay, even if it was just momentarily. When we met with Dr. Buttar he answered all of our questions, he knew exactly what we were going through. Its one thing to receive a treatment from a doctor you have never met over the phone but it’s completely different to receive treatment from a doctor you have met face to face. If you can make the trip to see Dr. Buttar it’s a world of difference. Please understand that even if we did not get the chance to meet with Dr. Buttar face to face, it would not have changed our decision to have him treat our child. Since we have been under the care of Dr. Buttar for approximately four and a half months, we would like to give you some examples of hope from our child’s progress. Better eye contact and a lot of hugs, kisses and smiles. Can NOW ride his Tricycle with little or no assistance. Acknowledges other children and finally has made interaction with his peers. Is now interested in going to the Potty and has been successful 3 times with our assistance. Thank you Dr. Buttar and Staff for giving us HOPE when there was none. You are doing God’s work, you are seeking truth, and you are saving children. I read your position paper and understand that you are under intense scrutiny because of how publicly you are challenging powerful institutions. As the parent of an Autistic child, we both know that you would have happily died instantly to assure your son a normal life, just as I would do in an instant for mine. After the gift you have received, who can harm you? Forget the bastards, do your great work. Thank you, from one parent you have never met, for all your efforts. We plan to begin [heavy metal toxicity treatments] for our son strictly adhering to your protocol soon (working with a terrific local DAN Doctor). I would like to wish you all the best this special time of year. Holidays are a wonderful time of year that reminds me how thankful I am. I am thankful for so many things in my life, but I am especially thankful for Dr. Buttar, his staff of angels, and to God for leading us to your practice. I cannot tell you how you have changed our lives. Two years ago when I met you in Austin, you referred to me as the mom with adrenal overload. I was such a mess. I love my children so much and would do anything for them. I was exhausted! I was exhausted from the search to find out what was going on with my children. We all know that painful story too well. I was exhausted from the anger. I was exhausted from the tears. Most of all, I was exhausted from the guilt. How could I have let this happen to my babies? Two years have now gone by since we started the protocol. [Heavy Metal Toxicity Treatments for] three children and everything that goes with that was extremely challenging. The results we saw were remarkable. Thank God that it didn’t take too long to get Blake and Bryce healthy. You would never know they were affected with autism or heavy metal poisoning. Now, I could focus on Brayden’s treatment and recovery. He was affected the most. It has been a long, slow, steady progress. Brayden has come so far, and I am so proud of him. He has worked very hard. We still have a journey in front of us. Yes, I do feel guilty for wanting it all (full recovery) when I see the parents at the clinic who would die just to have gotten as far as Brayden, but I do! Brayden has gone from a child with words, but could not process them into sentences to a child who can communicate and understands. Two years ago at preschool, he used to sit on the floor with his beautiful face on the floor. He is in Kindergarten now, and he participates and is very happy. He just beams! He can now speak his mind, and I love it! He can express his likes and dislikes. Just yesterday, I was in a hurry, and I wanted him to get dressed. I said, “Brayden, hurry up and get your clothes off!” He said, “Well Mom, actually they are pajamas.” I just laughed! I have been angry inside for so long and Brayden knows this. He will now say, and it breaks my heart, “Mom will you please smile; I love to see you smile!” That is how far Brayden has come. He is having so much early recall about things when he was a baby. It amazes me. We were for driving to school, and he saw a woman jogging with a stroller. He said, “Mom, do you remember when you used to put me in the jogging stroller with my towel?” Can you believe that? He had his 7th birthday party last weekend and was so looking forward to blowing out his candles, with no help of course. He remembers needing help. Everyone was singing Happy Birthday, and he started to blow out his candles, and one of the guests sitting by him helped. Brayden stopped, stood up in front of all of his guests and parents and yelled at this boy. He told him that he had ruined his party and that it wasn’t his birthday. At first, I was a little embarrassed, and then I thought to myself, “Way to go Brayden!” That was a normal reaction from a normal boy. That is progress. He doesn’t have to sit back and take it anymore! Thank you Dr. Buttar for helping us help Brayden. I actually feel good when I am at your clinic. It is so nice to be surrounded by people who actually get it and understand what I have been going through. I have been judged for so long for what was happening to my kids. Ironically, I was judged and blamed for the things that I was doing wrong with Brayden by a man who was dying with ALS. This man was my father-in-law. I know Brayden has come so far, but I can’t seem to let go of the anger. I am not in the same place that you are yet. I still hear Brayden’s pediatrician’s voice in my head every single day. “He can’t be autistic; he’s too normal.” That is what he said to me as I was discussing some feeding issues when Brayden was a baby and at the same time pumping him full of injections. I know, thanks to Dr. Buttar, his staff of angels, and Brayden’s hard work that I will live, laugh, and love again! Merry Christmas & Happy New Year! Yes! Our babies ARE growing up! Miranda and Taylor, 8, are in 3rd grade and loving it. They are still involved with ballet, gymnastics, piano, Brownies, and this year competitive cheerleading. (They are doing collegiate type stunts – it’s amazing). Little Hope, 5, LOVES Kindergarten and is enjoying piano, ballet, cheerleading, and gymnastics. The girls are all healthy, happy, and loving life. Boy wonder Drew (almost 3) is the most amazing person. He spent his entire 2nd year of life working harder than most adults would ever dream of: Thirty plus hours, 7 days a week. Two mornings a week at a regular preschool, 3 hrs EVERY day of 1-on-1 therapy at home, 2 hours a week with a speech pathologist, 1 hr a week for occupational therapy, 1 hr of neurotherapy & 1 hr of floor time. Drew’s really re-connected with most people. He is VERY happy, social, likes school, playing with his grandparents, Jimmy Neutron, swinging and doing puzzles that his older sisters have a hard time doing. Although much progress has been made, his language still remains a mystery to us all. His autism has brought along with it, apraxia. Stroke victims sometimes suffer with this. He tries sooo hard, but is still limited to about 30 or so words. Much has happened with him biomedically speaking this past year. 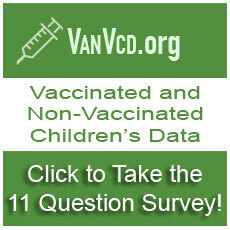 We know according to the Vaccine Administration Record (req. form pediatricians must keep) that Drew was injected with at least 158 mcg of mercury by the time he was 15 months old. This is more than an adult should receive in 5 years. He received it via his vaccines in the Thimerasol preservative in 2000 and 2001. Most of you know (via e-mails) the battle many of us are in now; HR 5710 Homeland Security Bill which gives drug co’s complete protection for the use of Thimerasol and it is retroactive. (Smallpox vaccine is a live virus – there is no Thimerasol in it). This bill was aimed at the hundreds of thousands autistic children who have been mercury poisoned via their vaccines and now have neurological damage. Please continue to petition your states congressional leaders to get this rider OUT. The best way to help these regressive autistic kids is to acknowledge the cause so that a recovery and healing can take place. We feel so blessed to be surrounded by such incredible people. Our neighbors, the schools, the therapists, family and friends are always there for us. May God’s Blessings continue for us all in 2003. Greg and I thought you might enjoy this picture of one of your patients taking his supplements! Sam has been [taking heavy metal toxicity treatments] since July 4 + we feel that we are emerging from the “worse before it gets better” period. We just wanted to thank you for all you are doing for Sam + other kids like him. We feel blessed to have Sam in your care. My name is Sutura and I would like to thank you so much for all your help. My dear friend Mrs. N wrote to you from London a few months ago about my son Mohammad and my daughter Aisha. A few days ago before we were scheduled to leave for Chicago to see [our doctor] she sent an email to my friend saying that you had called her about Mrs. N’s letter and you would provide the [product] for both children. I almost passed out. We had to stop supplements for two months just to pay for the tickets to Chicago. 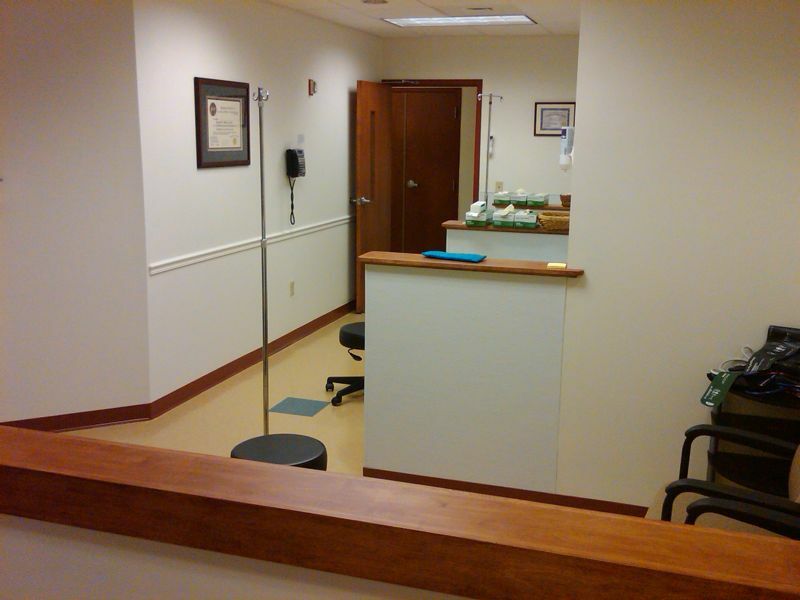 As a result of your generosity, [our doctor] said she would also waive her consultation fees. However, she says I must find a way to get the testing done as per your protocol. Dr. Buttar there are no words that can express my gratitude. One person really can make a difference. Your generosity has released a flood of giving that will end with a complete reversal of both my children’s autism In Sha Allah. May Allah bless you for your selfless generosity and for giving all parents like me some hope that our kids can and will recover. May Allah bless you and your family, Amin and may the almighty build you a house in paradise for giving parents like me the hope of getting our beautiful children back. The other morning he woke up and first words out of his mouth was, “mommy, do you have a tail?” I said, “no. Do you?” He said, “uhhh, I don’t think so”. I asked, “do airplanes have a tail”, he said, “yes”. I asked him if plates had a tail, and he said “no” and started laughing. I can definitely say interacting with him so much more fun now!!! Today I took him to the mall to the play land. He sat in a little car and told a little girl, “let’s share” and moved over for her to sit at the drivers seat. She pretended with him to give him an ice cream. He pretended to take it from her hand and ate it! Then he asked her for some pizza and pretended to eat it too. I just sat there with tears in my eyes witnessing something I’ve waited a long time to see him do (pretend play is something he does not have). I’m not expecting a response from you, I just wanted to give you an update. I hope this email finds you, your family, and staff well. Just an update and follow up on your buddy Hunter. Things seem to be clicking along well for him now. His report card for this past quarter was 3 A’s, 1 B, and 1 C. He is in the special class room for the one on one attention that he needs. He is going to the regular classroom for one subject, and he is doing well there. We are going to start doing two subjects in the regular classroom after Thanksgiving. His PACT testing results (done in spring) arrived in September. We were very pleased. He was on standard (just barely, but on standard) in 3 subjects and below standard (just barely) in one. I consider that very positive being his spring was a freaking nightmare! I allowed the kids to get a dog (I did my homework and felt like an English Bulldog would be the best choice for Hunter.) lol, all the dog wants to do is sleep and chew, and Hunter is doing awesome with the dog. He is in a local theater group and doing well there. He has come a long way from the day when he could not put 2 and 3 words together. He still has his struggles every day, but if you look at where he was and where he is, it’s miraculous. Sincerely, my best to you and your family. You have made a tremendous impact on Hunter’s life. Father to father it is appreciated more than I can ever express. I trust, if there is ever anything I can do for you, you will call on me and allow me to do it. We don’t know exactly how we learned about your clinic, but decided to contact you, and 9 months later (August 2005) we got our first appointment. Our 8 years old son Henrik, challenged with autism, had been on several bio-medical interventions (all DAN approach) with good results, but further improvement has stopped. After your required initial testing had been completed mid October 2005, Henrik was due [to begin treatment]. It’s now August 2006, and we have seen astonishing changes since we started with your protocol. He has gradually improved such that he is able to show us his interests and knowledge, and what he can and knows, is far beyond or imaginations. He seems to understand several languages, their grammatical rules, does mathematics as he should be a calculator (much faster though) and demonstrates that he reads and can remember details from long stories that we read for him. Generally he has become more aware of the world outside his mind, he can now return a smile or a hug and we see that he is proud when being praised. Now he also is following simple instructions. This summer he has learned to use a keyboard to communicate, and when asked, he informs us that he likes to go to Dr Buttar’s clinic, he feels better as result of the treatment and he want to continue the treatment. He also type names of other of your patients he meets at the clinic and tell that they are treated for autism as he is. He is still non-verbal, and those words he can say, seem to be very difficult for him to pronounce, Behaviour is much better, but there is still room for improvement. Most all hand flapping and toe walking is gone, and on a good day, it’s not easy just by looking at him to see that he has these challenges. What we have seen from your treatment compared to previous treatment is a very gradual and steady improvement for both awareness and physical health. Spring 2006 we visited your clinic and…noticed significant changes in his behaviour after this visit. This summer, 2006, we have been 7 weeks at the clinic and are really looking forward to follow his progress this forthcoming fall. His autism onset came between 2.5 – 3 years age, and at four he was totally lost for us. No eye contact, hardly any response to sounds and a lot of self stimulatory behaviour. Those 30 words he used at age two, where all gone by age 3, along with imaginative playing and sociability. At age four we put him on … diet and got immediate response. He started sleeping whole nights through and became interested in his surroundings. At age 6 we put him on bio-medical intervention with assistance from a good DAN doctor from USA, and further improvement where seen. Now we are close to one year into your treatment protocol and are grateful for his incredible results so far. We thank you and your staff for the effort you put into this issue, both for us and others, and are really optimistic for the time to come. Dr. Buttar I am writing this letter to thank you and to tell you the difference in my daughter Kayla. When Kayla was 2 years old she was diagnosed with a severe receptive and expressive speech delay and an immune deficiency. Many “experts” threw out phrases like autism spectrum disorder, PDD, sensory integration disorder, strong-willed, etc. but no one knew what was wrong with our little girl. After a lot of research my husband and I felt that like many children Kayla’s problems began with her immunizations. We decided to try [heavy metal toxicity treatment] and our search led us to you. I desperately want to tell every parent who has ever had to hear the ugly word “autism” that there is hope. I want every mother or father who has cried because they felt helpless to know that there is a way to get your child back again. If there is anything I can do to help you, please let me know. And if there is a parent who needs to talk to someone, I would be more than happy to talk to them and tell them Kayla’s story. I would like to thank you so much for standing in the face of adversity to help these kids. I also want to let you know how much Jane, the nurse practitioner, has meant to us. She is such a voice of compassion and reassurance. I look forward to talking with her every month. The entire office staff has been so wonderful and have made this journey as painless as possible. Once again, thank you for helping me get my daughter back may God continue to bless you and all that you do. My treatment went well! I love you! I am here in NC with my daughters Kelly and Megan. They are receiving their second [heavy metal toxicity treatments]. I have not had the pleasure of meeting you. I just wanted to take this moment and thank you for creating a healing protocol for the older children. Kelly is 9 1/2 and Megan is 8. My husband and I feel extremely blessed to have the opportunity to take part in what you have created. Your staff is warm, gentle, kind, and compassionate. My children are in good hands. I pray that my children recover but accept what God grants. Thank you for giving us hope and healing! Gordon & I want to thank you for all your efforts in helping me get on the right road to health. We appreciate your professionalism and direct approach to healing. You have helped me more than all of the previous doctors combined! Again, we appreciate all that you are doing. Thanks. Can’t thank you enough for all of the love and care you gave us. People like you are unbelievable! Thank you also for all of the prayers you offered. You will always be in my thoughts and prayers. As an adult who has suffered from mercury toxicity as a result of much dental amalgam, I want to thank you for your work in the area of mercury toxicity and autism. I have had over 2 years of researching on the internet for answers and treatment options, and basically had to diagnose and treat myself, with God’s guidance. I am happy to say that after these 2 years, my health has greatly improved and I feel almost myself again, which I wondered if I ever would do. Thank you again for your courage and for the work you do. I just want to let you know there are many who support what you do, are grateful that there are those like you who will speak out, and that want to thank you. Please let me know if there is anything I can do, as a layperson, but one who has first-hand knowledge of the devastation of mercury, because this has become a passion for me. It is so tragic that mercury toxicity doesn’t have to happen, yet wonderful that there is hope for recovery!! Unfortunately, the truth has been kept from us – and for much too long. I just wanted to thank you for what you did for my dad (G.W.). I wish he would have come to see you earlier. He thought you were a good and caring doctor, and they are hard to find. Good luck in your studies and healing. Your card and notes brought joy and tears. Thank you. Thank you, too, for your care and kindness to Tracy-it meant so much to him. We had a wonderful, God adoring memorial service on May 5th. I’m sure Tracy was smiling from his heavenly home. God continues to provide His shepherd care. And though I sorrow, I have the confidence that Tracy’s doing very well.